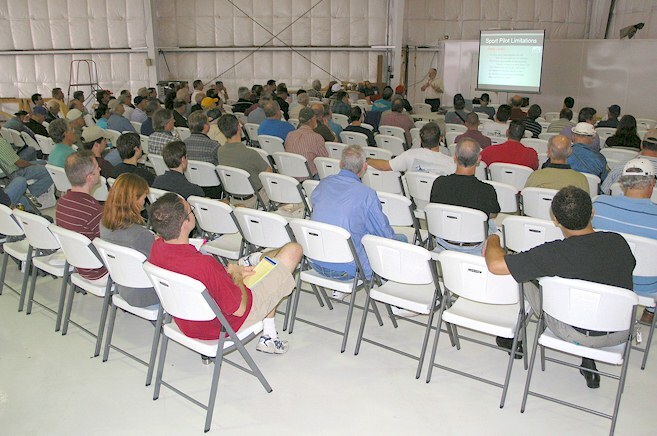 On November 12th, 2005, the EAA held its Sport Pilot Tour at Collin County Regional Airport in McKinney, Texas. A very large crowd came in spite of bad weather and wind. Here Joe Norris (EAA Senior Aviation Specialist) is giving a talk about the new Sport Pilot Certification and its requirements.